“It is almost certain that there will be another euro crisis in 2017. The last time we had a euro crisis, the focus of attention was Greece; today the vortex is Italy. Italy is not Greece. Italy is the third-largest economy in the Eurozone. Italy is the second-largest manufacturing nation in the EU after Germany. Italy is the largest debtor in Europe. The third-largest Italian bank is irredeemably bankrupt. Italy has no government and the people who are likely to win the next election want to take Italy out of the euro and replace the euro with their own currency, the lira. Our Finance Minister has said there is no problem in the Eurozone. I really don’t know what planet he is living on. 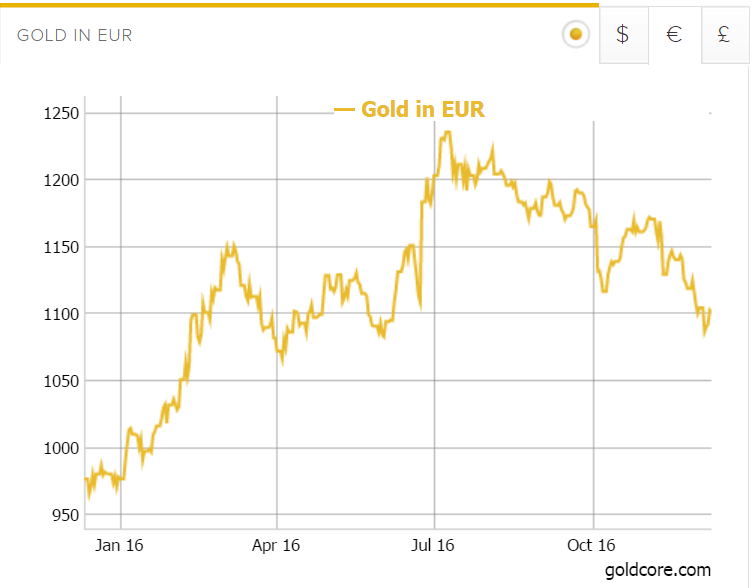 Despite the recent sell off in gold prices, gold remains 12% higher in euro terms in 2016 – from €974/oz to €1,092/oz. Gold is 10% higher in U.S. dollars and 30% higher in pounds. The bout of euro strength we have seen in recent months is unsustainable and will in time give way to the euro weakening against gold. Gold will again hedge and protect investors and savers in the EU from euro weakness as it did during the financial crisis. The dollar has had a massive rally and looks overvalued versus most currencies and indeed gold. U.S. assets have increasingly poor fundamentals and both U.S. stocks and bonds look vulnerable to sharp corrections and new bear markets. 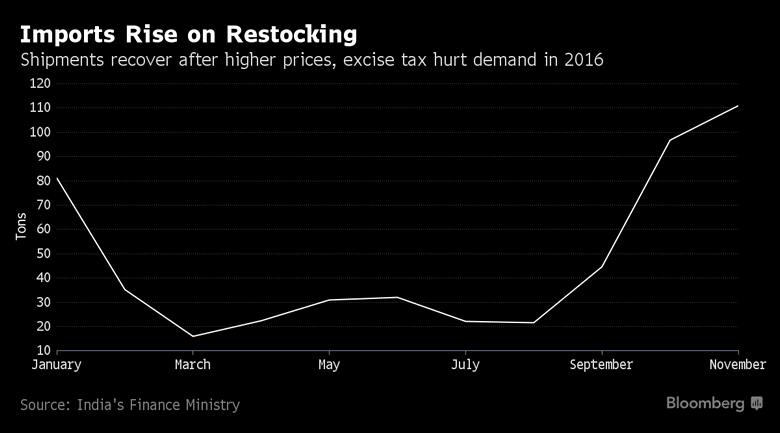 The panacea of massive bailouts, bail-ins and massive currency printing by the ECB as announced last Thursday, may or may not prove effective at containing the crisis in 2017. However, investors with a more long term horizon are diversifying and looking to the inflation protecting and systemic hedging qualities of gold. 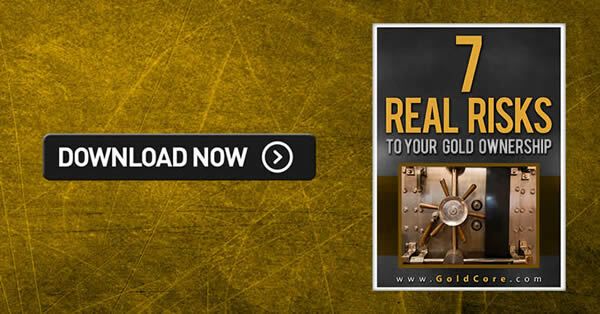 The most effective hedging instrument and safe haven asset remains gold bullion. This is only the case if investors own allocated and segregated gold and silver coins and bars in the safest vaults, in the safest jurisdictions in the world.